Yes, you read correctly…corn! That’s my decor inspiration this week. I just returned from a business trip to Cedar Rapids, Iowa. Never heard of it? Really? That’s odd. Anyway, I’m mid-presentation feeling confident about my expertise in the area of all things advertising and I glance out the window and see….horses. It’s not every day you’re hosting a meeting to tell your client how to spend millions of dollars in advertising adjacent to a horse pasture. And corn. Lots and lots of corn. 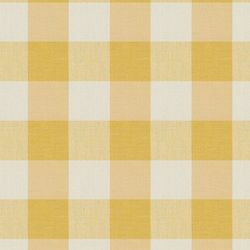 So in honor of furry friends in Iowa and the crop that has fueled that state for decades, let’s talk about decorating with YELLOW! 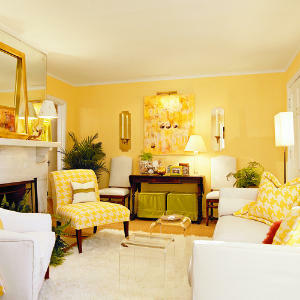 Or what about a neutral sofa in a nice shade of yellow…nothing too crazy…. Let’s say even those two things are a little to bold for you (I’m assuming you are more scared of color than I am, as most people are). 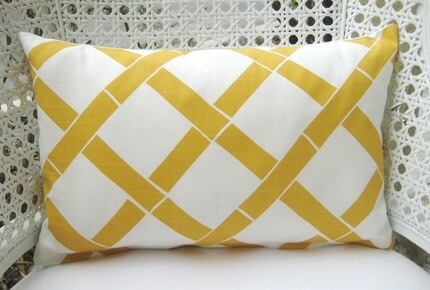 Then, let’s work in some fun & cheery throw pillows like the one below. If that’s too traditional or “country” for you, spice things up with a funky print like the one below. The bottom line is, no matter what the inspiration, don’t be afraid to put something you love, like a color, in your home. It’s your home! Why not? Break away from the beige, people! Sometimes it’s easier to take it little by little. 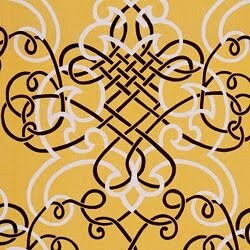 Personally I love a pretty yellow toile duvet or shower curtain in an otherwise neutral room. It brightens things up, but isn’t over the top. On the other hand, a living room like the photo in this post is georgous. To take a color like that and throw it on the walls is courageous, but it definitely paid off. Decorating & design are all about expressing yourself through your space. Do what you want! And do it in color! I love the yellow! It brightens up any room!